Last year, while state lawmakers were considering a landmark bill to open up previously confidential police misconduct records to the public, the city of Fremont quietly destroyed a large archive of papers, cassettes and computer files documenting over four decades of internal affairs investigations and citizen complaints. It is not known if the destroyed records covered officer-involved shootings. Last fall, Fremont’s City Council also changed the Police Department’s records retention policy, reducing the amount of time that investigative files of officer-involved shootings must be saved from 25 years to 10. Fremont’s city attorney, city manager, mayor and Police Department did not respond to emails and phone calls seeking comment for this story. There’s no evidence Fremont violated any state laws or its own policies, but few other Bay Area cities have been as aggressive in purging police files. But some find the city’s actions troubling. “Fremont’s decision is problematic because the Legislature made a decision, they made specific findings that transparency around police shootings, uses of force and incidents of serious misconduct is necessary to building public trust,” said Peter Bibring, director of police practices for the American Civil Liberties Union of California. Lawmakers passed SB 1421 in August. The law allows public access to previously confidential police records about use of force incidents resulting in great bodily harm and confirmed cases of sexual assault or dishonesty by an officer. 'Fremont’s decision is problematic because the Legislature made a decision, they made specific findings that transparency around police shootings, uses of force and incidents of serious misconduct is necessary to building public trust.' Peter Bibring, ACLU of California. Gov. Jerry Brown signed the bill into law in September. By then, Fremont had purged decades of information. 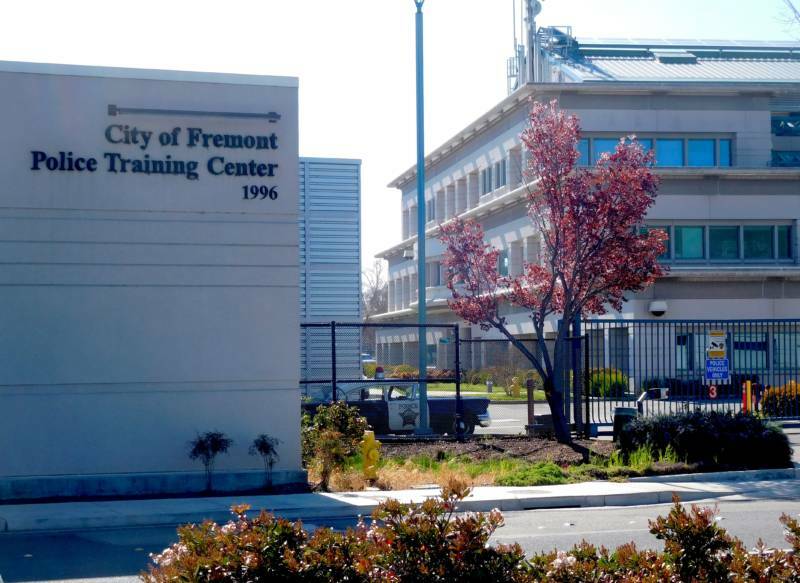 Between June and December 2018, Fremont destroyed six batches of records covering investigations of police misconduct, citizen complaints and disciplinary files spanning 1971 to 2016. It's unclear what specific information was contained in the files that Fremont destroyed. The contents of most of the files identified on several lists obtained by KQED through a public records request were not described in detail. But certificates of destruction, which Fremont requires whenever a city record is purged, reveal that some recent cases involved investigations of officers for dereliction of duty, arrest by other agencies and misuse of police equipment. One destroyed file was for a 2012 investigation into allegations that an officer “targeted” a person and carried out a false arrest. The officer was exonerated, according to a one-sentence description of the file, therefore it’s unlikely its contents would have been subject to disclosure under SB 1421. However, brief descriptions of several other destroyed case records show that some officers were disciplined for misconduct, including multiple terminations. One destroyed record of a 2006-2008 investigation resulted in 11 orders to impose discipline against a police officer. The city also destroyed 11 boxes of “training review board” files that included information about officer-involved shootings and other serious incidents that occurred between 2003 and 2015. A training review board is convened as the first step towards investigating in-custody deaths and similar incidents. If the board discovers policy violations by officers, they refer the case to internal affairs for further investigation. It’s unclear if any of the destroyed board files resulted in a full IA investigation. Since 2012, Fremont police have been involved in eight fatal shootings, according to data maintained by the state Department of Justice. Police unions lobbied intensely against SB 1421, authored by state Sen. Nancy Skinner, D-Berkeley. Earlier this year, in a last-ditch effort to prevent the law from applying to records created before the statue took effect on Jan. 1, police unions sued to stop officers' employers from making records public. So far, the unions have lost in the courts. On March 12, a state appeals court rejected arguments from unions representing officers employed by Walnut Creek, Antioch, Concord, Martinez, Richmond and the Contra Costa Sheriff’s Office that the law shouldn't be retroactively applied. Fremont’s police officers’ union didn’t file a similar lawsuit. A few other cities have also tried to purge their police misconduct records. Last year, Inglewood City Council voted to approve the destruction of more than 100 police misconduct investigation files. Long Beach also destroyed years’ worth of records before SB 1421 took effect. Both cities said the move to purge documents was unrelated to the new law. Civil rights and police accountability groups criticized these moves as a means of subverting the law’s intent and ensuring the records can never be made public. In nearby Hayward, the Police Officers Association lobbied their department’s chief and executive team to change their records retention policy so that misconduct and use of force records could be purged faster. The effort was directly in response to SB 1421, according to notes from a December meeting between the police union and Hayward police officials that KQED obtained through a public records request. However, Hayward did not go ahead with the change. “In the support of transparency, I decided it was not appropriate or necessary and I took no further action to pursue any changes,” Hayward Police Chief Mark Koller wrote in an email. In a single City Council meeting last November, Fremont reduced the stringency of its retention rules so that fewer police misconduct records would be subject to disclosure. While state law requires police agencies to maintain records of citizen complaints and resulting investigations of officers for five years, Fremont has interpreted the statute to allow for the destruction of internal affairs investigations after only two years if the department started the investigation on its own. The changes were listed on the City Council's consent calendar, a list of agenda items that are typically considered routine and passed with little discussion. The council also voted to reduce the amount of time the city retains records about police vehicle pursuits and vehicle accidents from five to three years. It also struck language requiring the Police Department to indefinitely retain records relating to charges of discrimination and sexual harassment; the new requirement is only five years.